Our mission is to bring excellence in anesthesia care close to home in the familiarity and comfort of the provider’s office. We strive to decrease pain and allow patients and providers to complete procedures which will improve quality of life and overall health. We keep a focus on patient safety as we work to make a positive impact on each person we meet through personalized interaction and treatment plans. Our anesthesia services allow patients to relax and let go of anxiety over necessary procedures. General anesthesia allow the dentist to have a full view of the patient’s mouth. By having our anesthesia provider monitor the patient continuously for pain management, health and safety, the dentist is able to focus completely on his or her area of expertise. We provide all equipment, drugs and supplies for patient safety and comfort. We are available 24 hours, 7 days per week for urgent needs or concerns. Relieve anxiety and keep patients in the familiarity of your office. Minimize patient cost and provide needed services for your patients. Would you like us to visit your office to talk about our services? Learn the benefits for your patients. 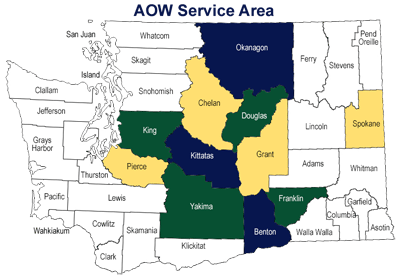 Office based general anesthesia in your provider’s office in Washington State. © Copyright 2018-2019 | Anesthetists of Washington, LLC | All Rights Reserved | Making the World Less Painful through Mobile Anesthesia Services for Dental and Medical Practices in Central Washington.